Hybrid Structures: Our hybrid structures blend the efficiency of pre engineered construction with the strength of conventional steel. This means we meet your heavy duty requirements at the most reasonable cost possible.. 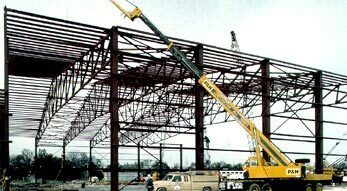 Box Girders: Precision box girders that can be used to support cranes or other heavy loads and provide open spans of 70 feet or more between columns.